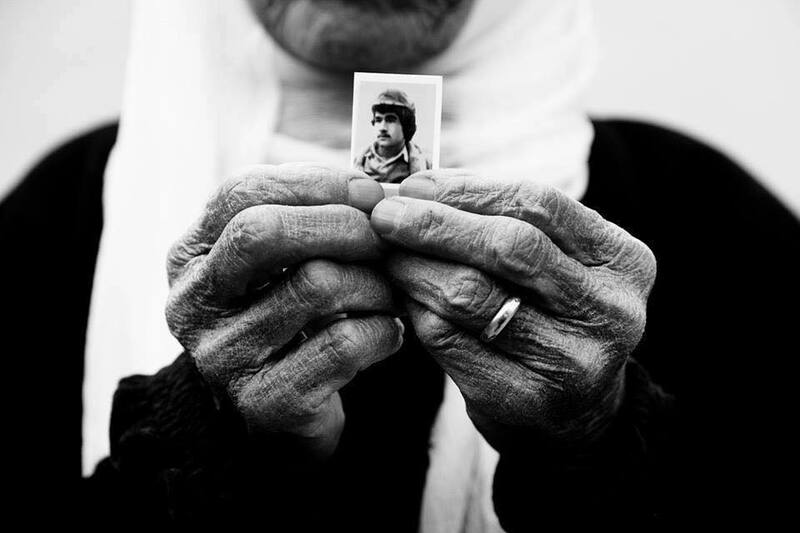 The Al-Anfal Campaign also known as the Kurdish genocide began in February of 1988. It was the final solution of the Kurdish question in Iraq according to the regime.The totalitarian Ba’ath regime committed the atrocity. The campaign took six and a half months in eight stages. They targeted the Kurdish rural areas, in particular.As well, Al-Anfal (means ”spoils of war”) is a name of the eighth chapter of the Quran. Is there a meaningful relationship between Anfal and Allah in other words God? How Allah allows Anfal, and why? How Allah’s words may become justification for annihilation of Kurds by the Ba’athists? How Allah’s words may become justification for “anfalisation” of Kurds by the Ba’athists? As a child, I had heard the word of Anfal for the first time. It was the result of my questions that I had asked my mother very often: “Where is my father?””Why does he not return home? Why my father is only a photograph on the wall? Why have I never seen him?” When my father anfalised, I was only three-months-old.Why should a three-month infant be fatherless because of Allah’s words in the Quran? Finally, I have learned from my mother and siblings that my father was anfalised. I heard the word of Anfal at school again in Islamic education lessons. In these lessons, we had to memorise the Quran verses. Therefore, we caught only the words’ forms, not their content. Later on, I realised that the word of Anfal comes from the Quran; but still, did not figure out its meaning and content. Later when I grew up, by dint of learning Arabic, I was able to read the Quran and Verse of Anfal (surah Al-anfal) in particular.As a result, I conceived the meaning and content of the word, and what lies beyond the verse. What relates the anfalisation of my father by Saddam Hussein’s 1988 Anfal Campaign and the Quran’s eighth chapter? However, Anfal is for the unbelievers.Why Allah allows anfalisation of my father and other innocent people who were Muslims and believe in the Quran? How Allah permits Ba’athists to destroy Kurdish villages and burn their orchards? How Allah allows the looting of their possessions and to demolish their mosques? How Allah permits the burning of their Qurans, and the killing of their women and children? Hereafter, I wonder if Allah is on the side of the Ba’athists. The side that supports killers, looters, oppressors. Or Allah defends the innocent and oppressed Kurds. According to Islam, if someone does his/her religious duties, then Allah will reward him/her in the heaven. Despite that, the Kurdish Muslims did all their religious duties. They had to build mosques in every small village. Allah did not only break his promise, but also grants that the Kurds should be subjected to genocide. Allah allowed the Ba’ath regime to commit genocide against them. under the name of Al-Anfal, in other words Allah’s words in the Quran. During the Anfal campaign, there were the concentration camps. These were Nugrasalman, Qalat, and Nizarke, and others. The inmates called to Allah to protect them from the Ba’athist monsters. But they were still subject to pains, starvation, torture, fear, and death. But that Allah who they believed in him was not there. Allah did not respond to their calls and supplications. Although, Allah makes a promise to answer those who call upon him ”Call upon Me and I will answer you!” (40:6). Allah did not answer them because they beseeched him in Kurdish. Maybe, God could not understand them because his language is Arabic. But if God is all-knowing, then He must know Kurdish too. Consequently, Allah either does not exist or is not all-good, all-knowing and all-powerful. Otherwise, Allah must respond his believers and save them from the massacre. Since childhood, we learned that Allah does exist, That he watches us from above. He is supposed to be all-knowing, all-powerful. Allah supports the poor and those who are in need, but now I have seen the opposite. Allah is not all-good. He stands for killing, oppression, persecution, mass murder, and genocide. Is that possible that Allah does coexist with evil? If Allah all-knowing, then he aware of mass murder and genocide. Why did he not do anything to protect the victims? If Allah does exist and all-powerful, then why he did not stop annihilation and genocide? In my view, Anfal, in other words genocide, is the strongest evidence to the non-existence of Allah (God). Because if Allah exists as all-knowing, all-good then he must not be silent while murders happened. He only watches and does nothing to prevent humans from killings and annihilation. Orchards, birds, and animals were burned. Allah did not say a word. The springs and water wells were filled up. Environment and nature were ruined and Allah did not take any actions towards them. Mosques were ruined. The Quran was burned and Allah did not do anything to defend his home and to protect his words from burning. Therefore, either Allah does not exist or is not all-powerful and all-knowing. If Allah exists how he allows killing, anfalisation and annihilation of people in his name. Because there is nothing to justify Anfal, Kurdish genocide or any other genocides. To conclude, Allah does not exist. Because if Allah exists either he could not stop Anfal (genocide) or he allows it to happen. If Allah could not stop the Anfal, then he is not all-powerful. Consequently, he is not ”Able to do all things” (”کل شیء قدیر”). This is in contradiction with Allah’s definition, according to the Quranic verse. If Allah allows Anfal and did not anything to stop killing and annihilation of women, men, and children, then Allah is not all-good. That is in contradiction with his definition too. Muslims say Allah knows something that humans do not. Therefore, Allah must have a reason to permit Anfal. In my view, nothing could justify Anfal and other genocides at all. Therefore, genocide, Anfal, atrocities, annihilations of humans, nature, animals, birds, orchards, and ruined all sorts of life are evidence for the non-existence of Allah. In the end, I would prefer an Allah(God)less world rather believe in such Allah who permits genocide, mass murder and Anfal to occur.